You want some extreme leverage? Well then look no further. Look into buying a Dow Jones Index ETF option. Ever just want to buy or short the Dow Jones buy don’t have $13,000+? Well take a look at an ETF. Dow Jones Index ETFs, such as DIA are meant to act on a 1/100th scale. Therefore if the Dow Jones is 13,000, DIA would be $130.00 (give or take a little bit). Therefore if the Dow Jones goes up 100 points, you would get about a $1 appreciation (.769% return). I did say extreme leverage didn’t I? Well that’s where the options come into play. As of today, DIA is 130.88 (the Dow Jones is 13,090). You can participate in all of the upward swing above $131 from now till Sept 22th, 2012 for about $1.40 a contract. Meaning that everything over $132.40 ($131 strike + $1.40 premium) is a gain. 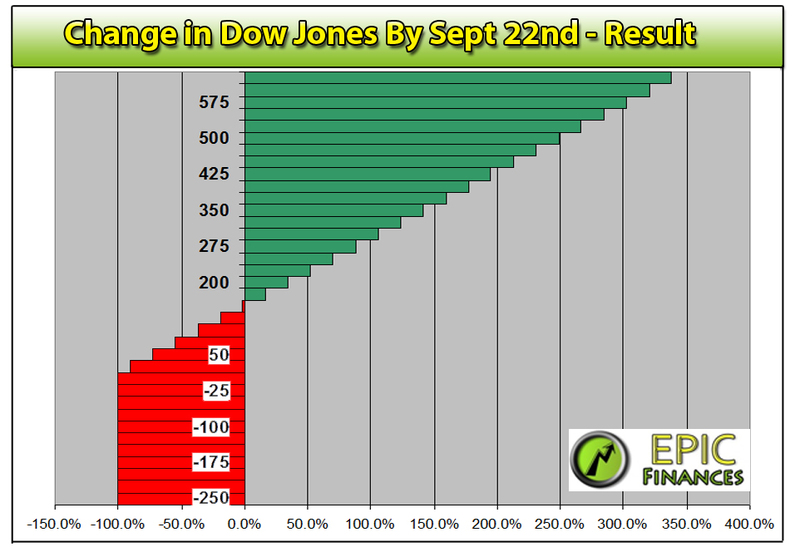 Scenario #1 – Dow Jones shoots up 400 points from now until Sept 22nd. Result: DIA ends up at 130.88 + 4.00 = $134.88. Strike price $131, resulting in $3.88. $3.88 – 1.40 (initial investment) = $2.48 / 1.40 = +177.14% in 14 trading days. 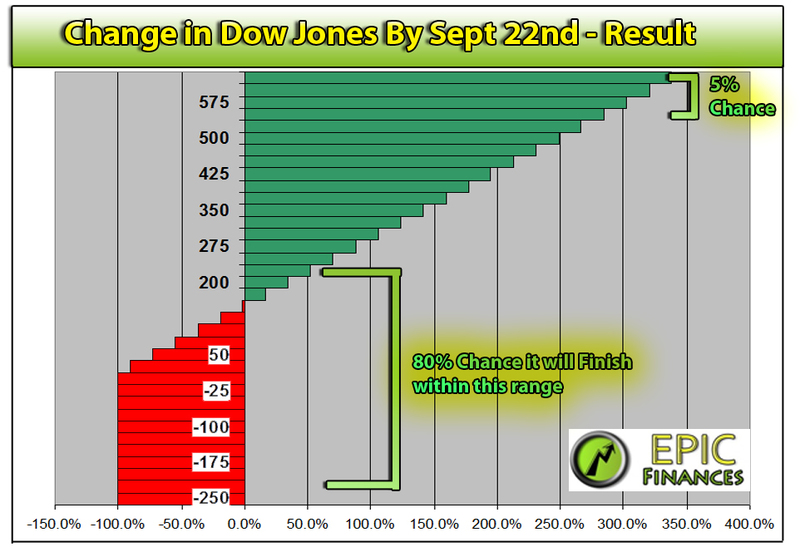 Scenario #2 – Dow Jones shoots up 200 points from now until Sept 22nd. Result: DIA ends up at 130.88 + 2.00 = $132.88. Strike price $131, resulting in $1.88. $1.88 – 1.40 (initial investment) = $0.48 / 1.40 = +34.28% in 14 trading days. 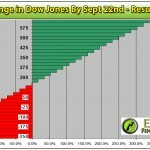 Scenario #3 – Dow Jones shoots up 100 points from now until Sept 22nd. Result: DIA ends up at 130.88 + 1.00 = $131.88. Strike price $131, resulting in $0.88. $0.88 – 1.40 (initial investment) = $-0.68 / 1.40 = -48.5% in 14 trading days. Scenario #4 – Dow Jones doesn’t move or goes down by Sept 22nd – You lost it all, it’s a worthless option, -100% in 14 trading days. Still not visualizing it? Take a look at the chart below. So why invest in index ETFs? Well, I for one am considering taking a position on Tuesday to hedge. I am completely too long on my portfolio and need a little more hedging against a down market. I am considering taking a very small portion of my account ($500, about 4%) and putting into a leveraged Put option against the Dow Jones Index. The theory is simple, if the market goes up my long options gain and my put option gets killed, but if the market goes down my put option goes crazy and mitigates my losses on my otherwise long portfolio. Although I am buying a very leveraged position, I am effectively hedging and “de-leveraging” my account. This highly leveraged position is not for the light hearted though, you really are riding the lightning with these bad boys. I will end on one final note. I wrote a long time ago about using option chains to see market sentiment, and this Dow Jones ETF option chain tells a story. It’s $3.50 more for a put than it is for a call for a long-term option (expiring Jan 18th, 2014). Now the stock is about $1 in the money, but $2.50 more for the put is substantially more. Even though there are some fundamental aspects to trading options that would justify a slightly higher put price than call price, it seems like there are more negative Nancy’s out there than positive Patty’s.